Why are daily routines important? Daily routines are so important for our students. As parents, and as teachers, we know this. We spend a lot of time creating routines that will help our kids get settled in the morning, or help our own children go to bed at night. Unfortunately, we don’t do the same for ourselves! We would reap benefits from this as well. I know the school day can be chaotic. There are a lot of interruptions and things that can break up our routine, but it can help to at least have a checklist of important tasks to do, or what you want your morning routine to look like. Where can you institute routines? You could have routines for your arrival to school, the end of the school day, or even weekly routines. Attendance ready/rosters printed, cabinets unlocked, personal belongings locked, etc…. Friday: Work on plans for the next week, touch base with resource teachers etc. Of course, these will need to adapt to you and your situation, but hopefully, this will give you some ideas to get started and make sure your aren’t forgetting anything, or keep these things a bit less stressful. Now, where do you keep track of these routines? The bottom line - keep it somewhere that you will use it, and see it. If it helps you to physically check things off (like it does for me) then make that easy too! What would you like to add to these lists? What fits your daily routines? I would like to try something new on this post and make a shared document where we could all brainstorm routine tasks, to help each other think of where they fit in. Click here to open this document in a new window and add your thoughts! You can also certainly then make a copy of this document and use it to make your own routine checklists! 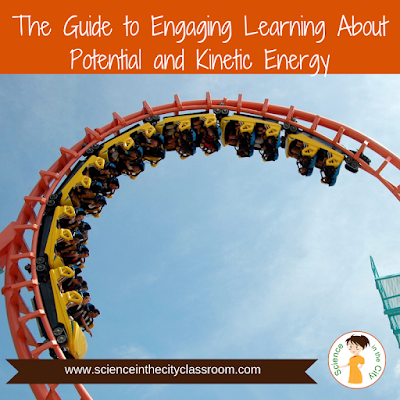 Making Potential and Kinetic Energy Engaging! 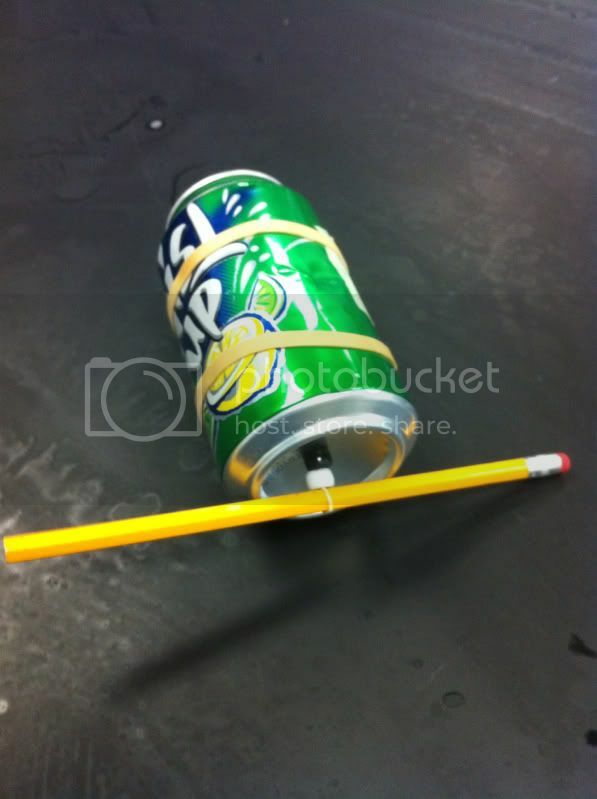 One of my most popular resources to designed to teach about potential and kinetic energy, but making a car out of common household materials (an empty soda can, a pencil, rubber band, and paper clip). When students create these cars, there are some questions or places where they get stuck. 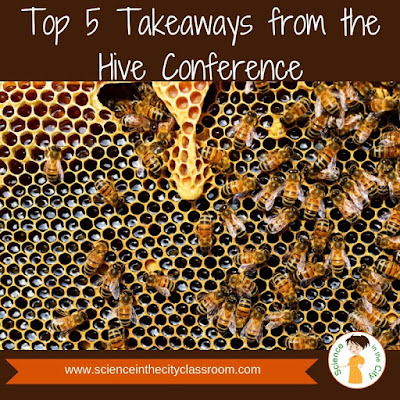 With a little bit of preparation, this can be a simple and successful project for students ranging from upper elementary to even high school students. I have had students make this car in the class and then go home and make another one. Here is a close-up view that I took of the car in action! Here is a tip! 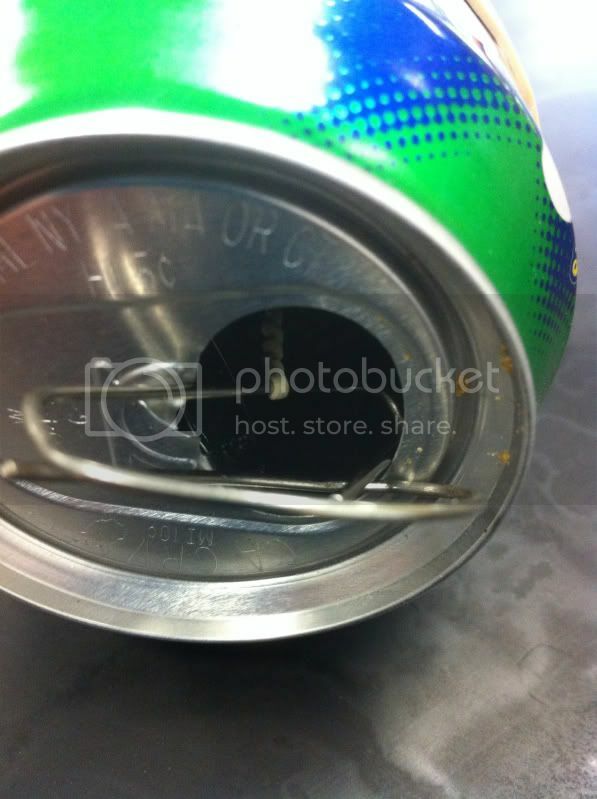 Use a hammer and nail or drill to pre-punch the holes in the bottom of the can. That is really the only tricky part and will save a lot of trouble. Here are some close-up pictures of the cans assembled. I hope this helps you visualize how they go together. This shows how the paper clip anchors the rubber band. The beads simply give the pencil and rubber band more room to rotate. In case you are looking for more inspiration, or an engagement video to get your students started, here are a couple other similar ones that will help you get started. This one is very similar and comes with complete assembly directions (this is not me in the video). A slightly different, but similar racer made with a spool! This would be a great one to show students as an extension, or pre-activity to engage them and get their attention! If you are looking to extend this further, this is the perfect lab to practice experimental design. Students can choose one variable to test (number of rubber band twists, number of rubber bands, the size of the pencil, or countless others) and determine how it affects the travel distance or travel speed. Students can race their cars and have a competition. You can set up a starting and ending line. They will love this!! 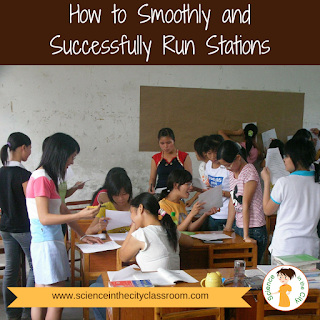 If you want to try this activity in your class, with complete written directions and summary questions, check it out here. 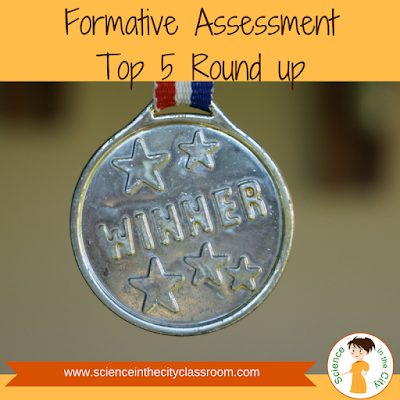 Formative assessment is critical and can be easy! Why is Formative Assesssment Critical? We often deliver a lesson, class ends, students come in the next day, and we aren’t really sure what they remember, or what they understand. They come into class the next day, and we are ready to start today’s lesson, but actually the students are not ready to move on. They are still confused on information from yesterday. As important as we all know formative assessment can be, it can be tedious to keep coming up with worthwhile questions, in addition to lesson planning and grading. I can solve that problem for you! We all know that we have enough on our plates without creating daily assessment questions. However, having the right questions can be really important to get the information that we want. I have created full year bundles of warm ups for Biology and Earth Science. You can see the questions and preview them in more detail by clicking on the links. 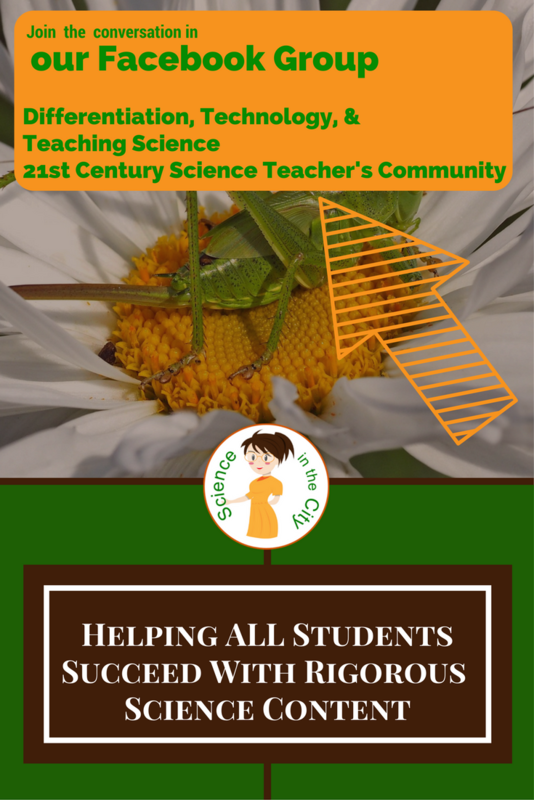 The Biology set comes in both Google Slides and Google Forms (also includes directions to use in PDF format, or in other Learning Management Systems. The Earth Science Set is only available in Google Slides (with directions for PDF or other LMS; no Google Forms at this time). 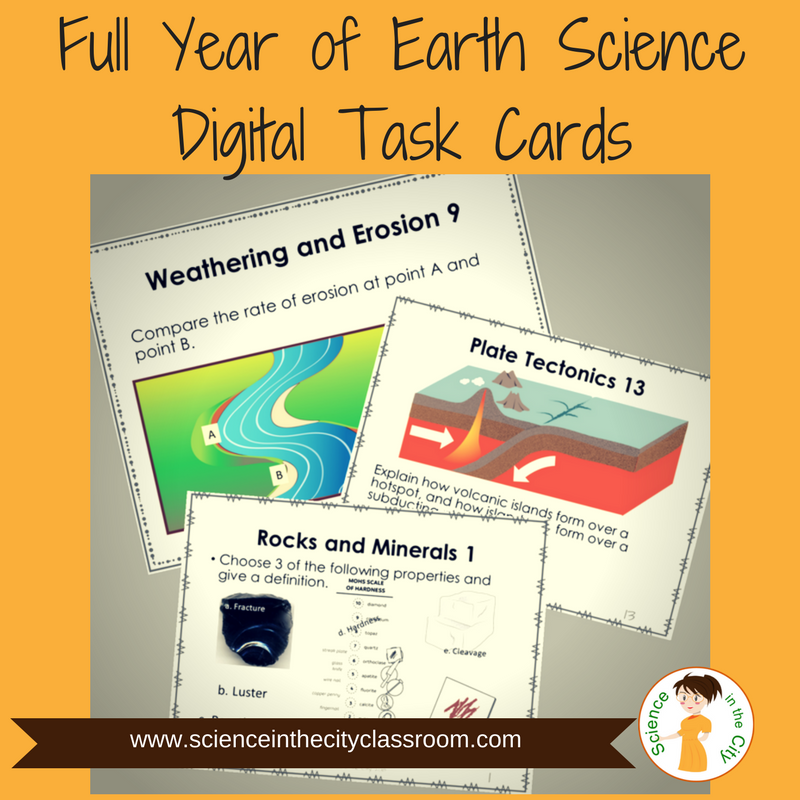 Both include sets for each unit typically taught (13 units for Earth Science and 10 units for Biology), as well as a bonus set with some blank slides/forms, and general formative assessment questions that can be used anywhere you choose. Each set includes 16-18 slides/forms with generally 2-3 questions each. They are correlated with learning objectives (Biology and Earth Science), so that all objectives are covered. Answer keys are included. Many questions include diagrams, inferencing skills, etc. There are a range of questions difficulties and styles of questions, allowing you to differentiate for your students. This is a topic that I have written about extensively, because I think it is so important. I also written about other ways that I use these digital task cards, and how and when I use formative assessment. Next time students are entering class you will be able to have a clear understanding of where they are and what they understand before you begin teaching. I can make that extremely simple for you pull off! Check out my full year bundles here. 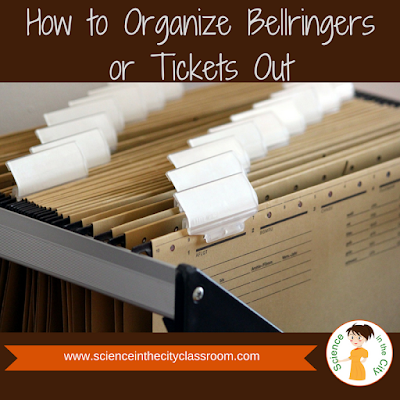 I have been asked about how I organize my bellwork and warm-ups, both in terms of how I organize the papers and the class time. Some of the complaints that I've heard are against doing warm-ups are: too much grading, too much time being spent in class time, wasted for students to settle down, too much shuffling papers and more. I have already addressed the grading in a couple of other posts here, here, here, and here. As far as the class time I'm really a stickler for using a timer and keeping my bell work very short. I know some people do bell work that's a bit longer, it depends on the length of your class, and how you want to run your class time. I usually keep it to three to five minutes. My bell work is one two three questions. If it really seems that people are working and need an extra minute or two I make extend it. I enforce that by using a timer that is visible on the Smartboard. 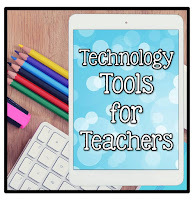 Depending upon how you setup your bellwork there are stand-alone timers, internet timers, Smartboard timers, the 1-click timer Chrome extension and many others. As far as how to organize the papers I've done it a few ways. I like to keep all my bellwork questions for a one-unit together in either a Google slide presentation, PowerPoint, Smart Board file, etc. Then I have the students answer on a bellwork or warm up sheet link here. They turn this in each day. Before their class, I spread them out on either a back table, counter, or something like that. On their way in the students can grab the paper with their name on it. It's a little extra incentive for them to get to class early or at least on time because the timer starts when the bell rings. When I have done bellwork electronically I have most often used a Google form. I share the link through Google classroom. They can quickly click on it answer, and all the answers come to me in one place. I can also turn the form off when the time is up, so that they have to submit in a timely fashion. I have also done a Google slide. In this case, I have all my warm ups in that slide file. I copy just today's slide. 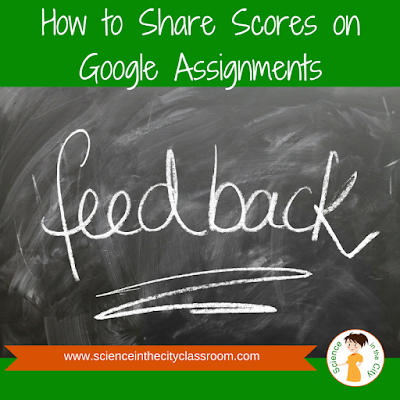 share it with them through Google classroom or through a force copy. They put their answers on it and then submit. Google Classroom really facilitates this very easily. 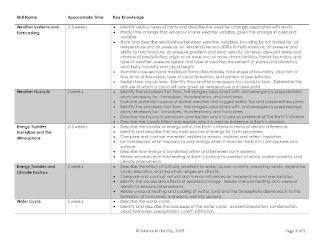 As far as during class time I can usually make a quick assessment if I want to discuss bellwork or go over it based on what I see when students are working. If I use a Google form where I can get instant feedback then, I can pull the results up on the board and this can help me assess and decide if I want to have a class discussion. If I find out that I'm wrong it's perfectly okay to go back the next day. What questions do you still have? Ask them here and I will do my best to answer! 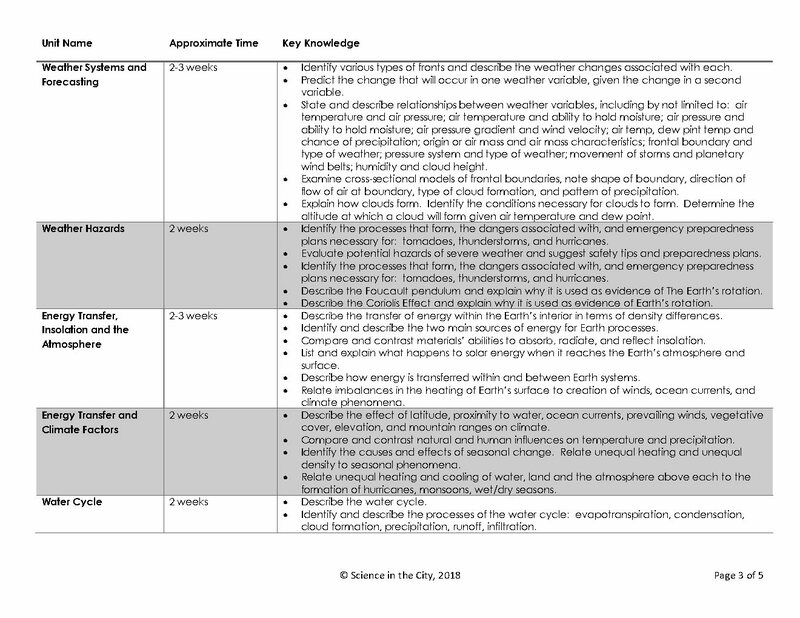 If you are teaching Earth Science and you've never taught it before you may be a bit overwhelmed by how to organize the curriculum. Earth Science here in New York State is a combination of Astronomy, Meteorology and Geology with a little bit of Environmental Science mixed in. That's a lot of different topics! How to organize it in a way that makes sense to your students? There really a lot of right answers to that and if you look across districts in New York State, or across the country, you will find a lot of different organization systems, of course. I wanted to share with you the Scope and Sequence and pacing guide that I use to organize my class. I follow this basic outline for a few reasons. First of all, I think it's important to focus on some of the topics that we know will be on the New York State lab practical later in the year, closer to the exam. Those points are so critical to students really doing well on the exam. I also like to start out the year bringing in topics where things where we can get students outside for some very simple activities (looking at shadow lengths to study the Sun’s path, build in lots of hands-on lab practice early on). I also sometimes like to look at some news stories about hurricanes (often happening near the start of school), or use this as a chance to practice mapping, and foreshadow some of the topics coming later. By the time we get to study weather and climate, we may have a storm or two to talk about and make some real-time observations. I also like to intermix, or spiral, the topics so that students see the connections between those topics. There are many other ways to organize Earth Science as well, but this is a system that I found works well. If you are looking for starting point please go ahead and download it. This pacing guide includes some basic objectives and approximate time for each unit it's a good pacing guide you going. Then you can always adapt as you see fit. If you like this, you may be interested in my more complete Earth Science Curriculum Guide, or other Earth Science Resources that I have. 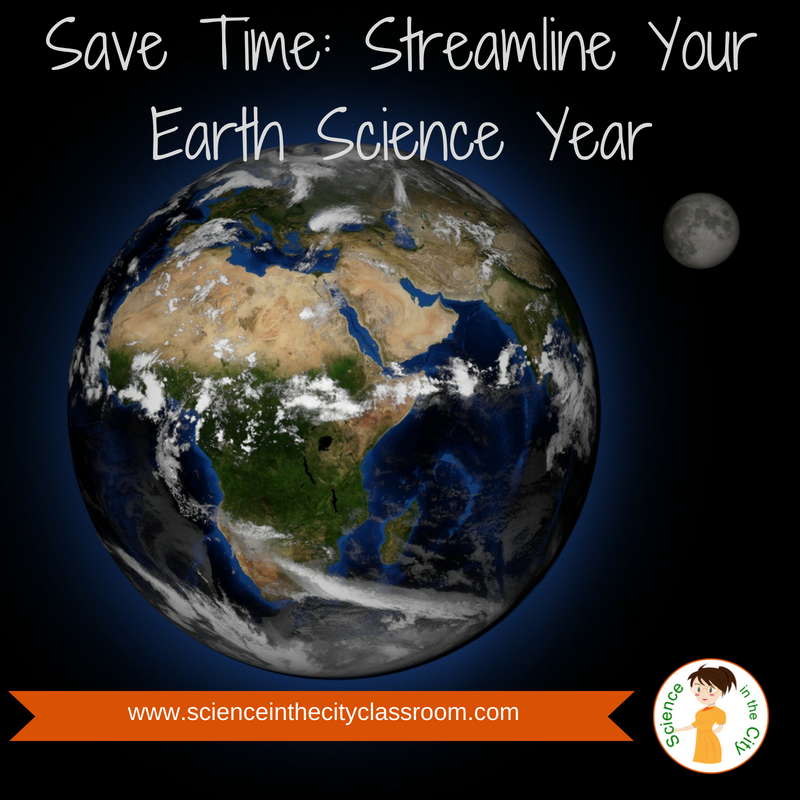 If you do download my free pacing guide, and it helps you organize and streamline your Earth Science curriculum, I’d love to hear your thoughts, either in the comments, or in our Facebook group! 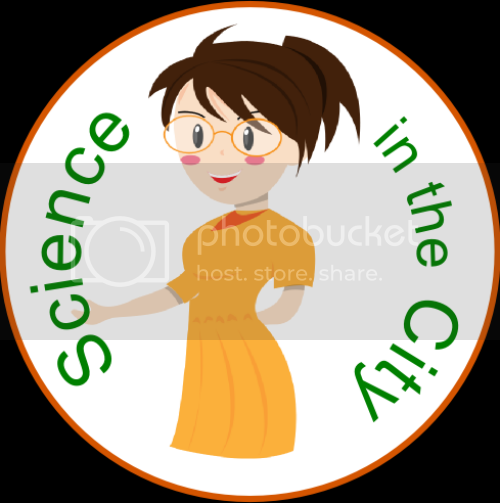 Super Science Back To School Giveaway! I hope you are thoroughly enjoying your summer!! I know I am! I can’t believe how quickly summer seems to be wrapping up! I know some of you are already back at school, and some of you have a few more weeks still. 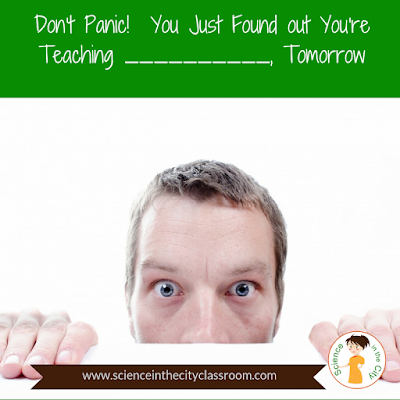 Even if you’re not quite ready to go back, a bunch of science teachers over at TeachersPayTeachers want to make the transition back as smooth and easy for you as possible. We have a fantastic giveaway going just for you, science teacher. We are giving away FOUR $100 TeachersPayTeachers gift cards that you can use to save a lot of time and get some awesome resources for your classroom! Take a few minutes out of the end of your summer to hop from blog to blog and collect all of our secret words. It will be worth it!! They form a secret sentence. Once you have the sentence, go to any one of the Group Giveaway Rafflecopter boxes, on any one of our blog pages, and type in the secret sentence in the right order. We will pick four winners after it ends after midnight on Friday August the 17th. For my individual giveaway I am giving away $25 of resources from my store, Science in the City. You can choose any bundle or set of resources that fits your needs. When entering this giveaway you'll be added to my email list; I send out resources and tips for teachers each week! MAKE SURE YOU SCROLL DOWN TO ENTER BOTH GIVEAWAYS!! 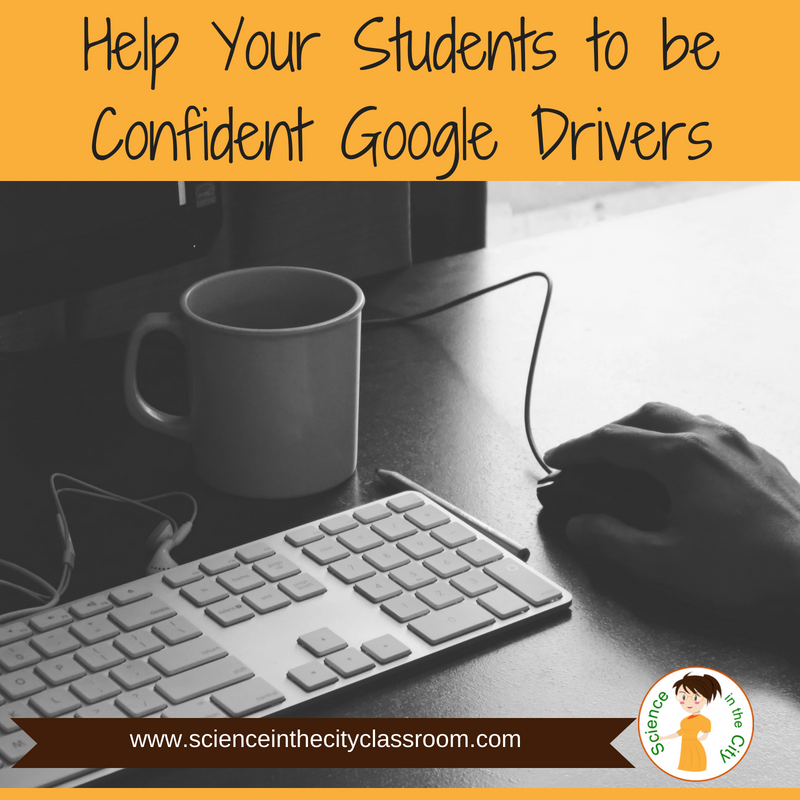 What do your students need to know and be able to do to be confident using Google Drive? Google Drive is a great tool and it's easy to use, but students need to be comfortable and confident for it to be successful. Students can store any file in Google Drive, access them anywhere, share with others, work saves automatically, and they can search for their work. Basic formatting tips -- the G Suite Learning Center is a great resource, even with printable PDF’s that would be great to put on tables, or hang around the room! I am linking here to the section on Docs. Think about the specific assignment that you want them to do, and what skills will come in most handy. When and how should I teach these? Be patient as students are learning new technology. We often think that they are ‘born with technology in their hands’ and that they already know all of this, but in many cases they do not. They may know some technology skills, but not necessarily the academic ones we are trying to teach them. Work with your students and you may learn something from them too. You probably spend quite a bit of time building classroom procedures and routines in your classroom. But what happens when you take your class out of your classroom?! A common time is when you take your class to the computer lab. All of sudden the same students who know the routine in the classroom are unprepared and asking where everything is, or forgot materials in class. The best solution that I know of is a small box or even a clipboard, or one of the clipboards with space inside. This allows you, as the teacher, to have one quick thing to grab on the way out of the classroom with everything you and your students will likely need. I have seen teachers use the top of a box of copy paper, as another handy (and free!) solution. WHAT SHOULD BE IN YOUR MAGIC BOX? It is, of course, up to your particular situation but here is a good starting point. Extra copies of the assignment. If you want students to be assigned to a certain computer, bring this list. 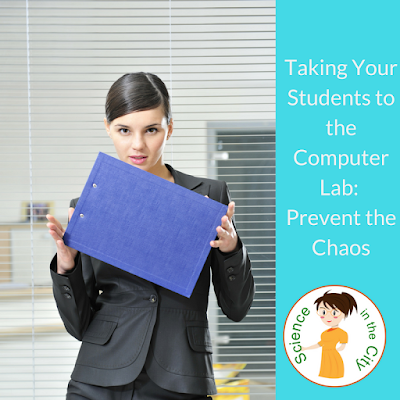 I have seen teachers in absolute chaos because they get to the computer lab and students are asking for another copy of the assignment, or a student shows up late and didn’t get the assignment. Perhaps a student causes trouble, or has a medical situation, and you don’t have the phone number to call an administrator or nurse! Teacher friends, these problems are so easily prevented! Make yourself a supply bag/box/clipboard that you can grab on the way out and make your day in the computer lab go so much more smoothly! As we near the end of the year, I want to share with you a new resource that I have been working on. 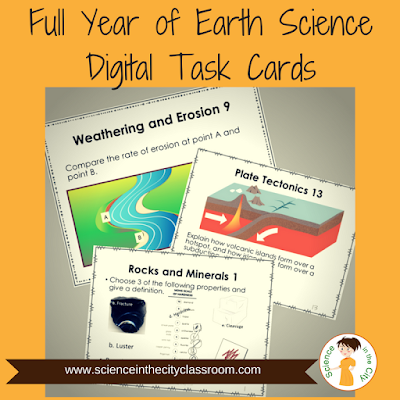 It is a growing bundle of Earth Science Warm Ups or Formative Assessments. I have written quite a bit already on how I use warm ups in my class, and how important I believe formative assessment is, for both the teacher and students. I also have several emails on the topic, so feel free to sign up for my email list, either by clicking here, or the sign up box on this page, if you haven’t already, to be sure you get those. Full Year Formative Assessment Bundle: Many Options For You!! - This is about my Biology bundle, but the Earth Science set is quite similar. Why Should I Absolutely Use a Warm Up or Bellwork? They are aligned to my curriculum guide, and student learning objectives, which are also aligned to New York State. Google Slides to project on the board, if you want to have students record their answers on separate paper. Interactive Google Slides so that students can type directly onto the slide, or move pieces around to answer the prompts. Printable PDF’s so that they can be used as task cards. Instructions are included to use with PowerPoint, and to use with several other digital platforms. These have an emphasis on understanding diagrams and key vocabulary. These work work well as daily warm-ups, tickets out, review activities, task cards, even an early finisher activity. Task cards have so many uses. 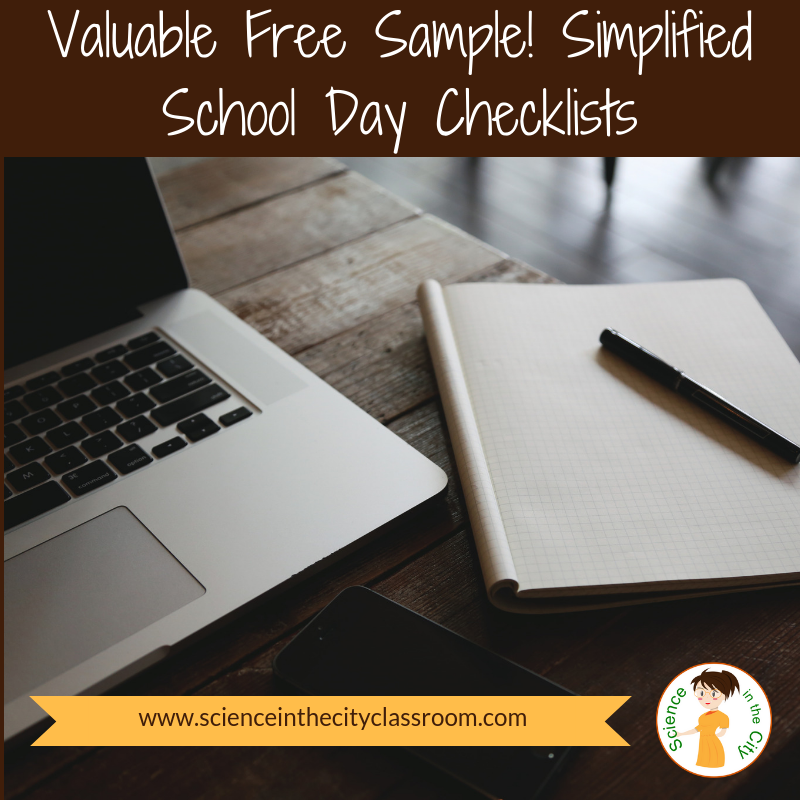 They are a full year set of 200 task cards, so you can use one every day, or pick and choose how you want to use them and have a big selection. I don’t know about you, but it can be hard to consistently come up with questions. It is a huge time saver, and sanity saver to have a bank of questions ready to go. 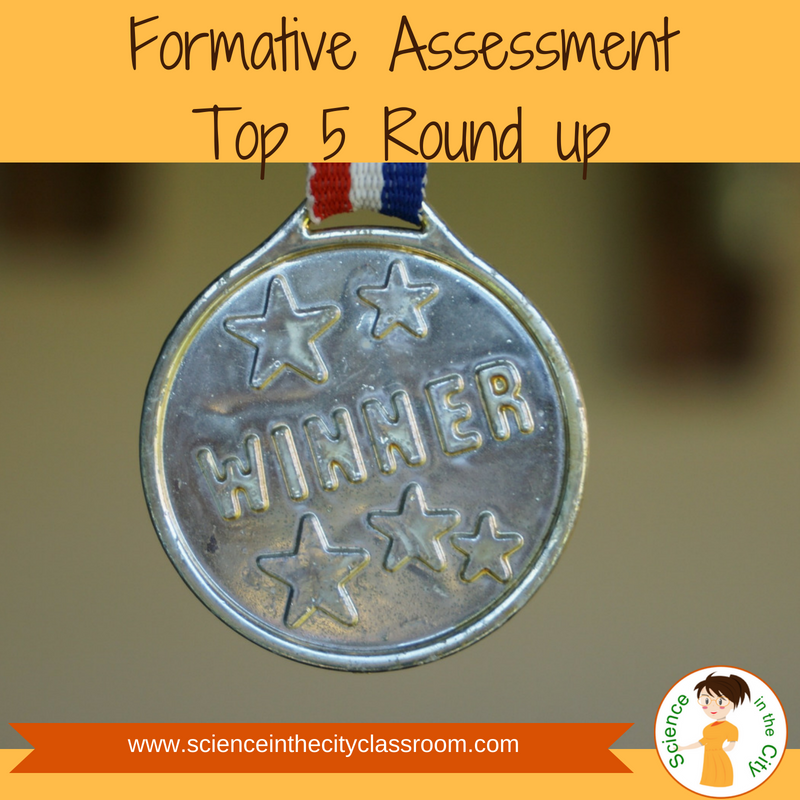 I hope these Earth Science Formative Assessments are helpful to you. If you have specific questions, or suggestions, please feel free to comment or email me! 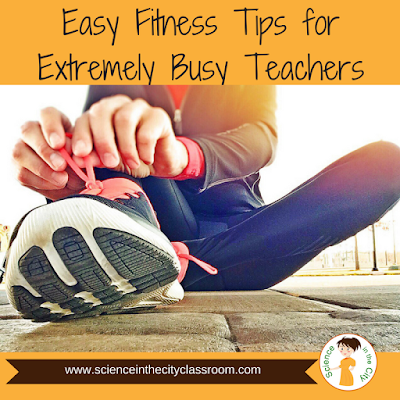 Why is fitness so important for teachers? On top of stress and depression benefits, we also know that fitness has benefits for our overall health (cholesterol, heart health, blood pressure and more). Many people know that fitness is important, or want to lose weight but struggle to fit it into their own lives. I have developed some health issues, chronically over the last number of years. I have been diagnosed with what is called myofascial pain, or overly tight muscles, with trigger points and a lot of pain sensitivity. I have had particular trouble in two different areas of my body. Within the last year or two I have really made a commitment to work on them. Exercise and fitness has been a big part of this. I have been through physical therapy, trigger points injections, MRI, acupuncture, and several types of medication. I am not cured, but doing much better. The end result is that these issues are all muscular, and are places in the body where people are likely to carry stress and tension. I have had to build in careful types of exercise, both for my muscles directly, and also as part of a plan to better manage stress. I have tried ‘programs’ and liked them, but they didn’t work well for me. I have had to build off of what I can do, without causing further injury and go slowly. Then I felt frustrated when I couldn't complete the program. However, I think it is beneficial because it caused me to really reflect on my goals (less pain), and my own progress (exercising 4-5 days per week, rather than 1-2 is progress, even if not exactly following the program). As part of my ‘journey’ I have also gotten familiar with biomechanics, and the work of Katy Bowman. She studies how our modern lives (time spent at a computer, or other mostly sedentary lifestyles has affected our bodies, our health, and what we can do about it). One of the main distinctions that she makes is the difference between movement and exercise. I think this distinction is so important for teachers (and others) to keep in mind. Both are important, and after reading much of her work, I think we need both. However, we have a tendency to discredit the idea of ‘movement’ that is not exercise, and this is a mistake. Katy Bowman proposes that 30 minutes a day of exercise is not enough to counteract a mostly sedentary day. In her book “Move Your DNA” (affiliate link) she puts out the idea that we do not, necessarily have to do 30-60 minutes of sweaty, strenuous exercise, but that we have to build in more movement throughout our day. This can be large and small. Walking instead of driving, squatting, changing our position, doing more work with our hands rather than machines, etc. Our muscles need constant changing inputs to function at their best. We tend to be in the same positions and same types of movements throughout the day. What’s the Difference Between Movement and Exercise? Exercise v. Movement: What’s the Difference? Change how you sit - sit on the floor with your kids. Squat. Sit cross-legged. Sit on a stool. Carry things in your arms. 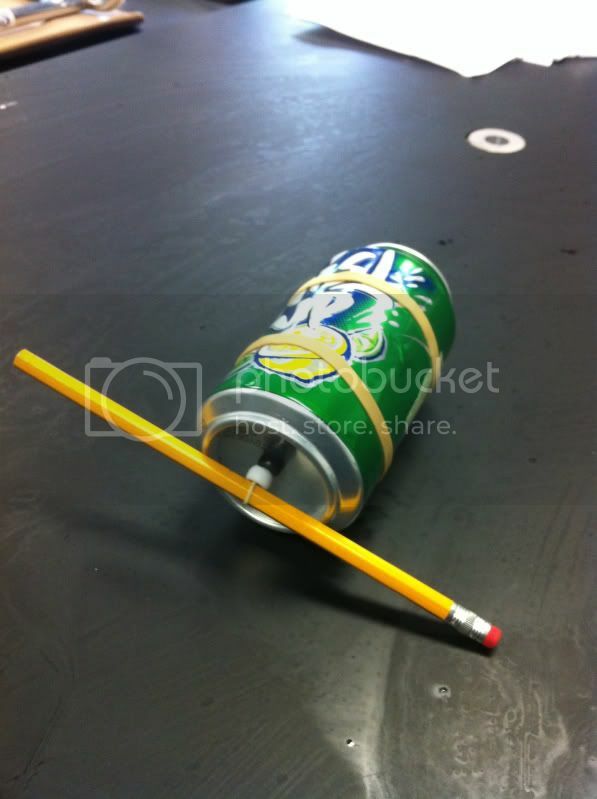 Instead of using only a backpack, or a rolling crate, try to carry things different ways. While you are on the phone, walk! While dinner is cooking, or while brushing your teeth, do some stretches. Don’t use your food processor, or buy pre-cut veggies, but do the work yourself. When you take your kids to the playground, run and play with them. Build it little movements - arm circles, twists, reaching up, etc. I’m sure you can come up with many more!! I’d love to hear them!! What are some ways to get more exercise into your day? I can often do one of these either in the morning when my kids are getting ready, while dinner is cooking and they are doing their video game time, etc. They are short enough that they are manageable. I hope some of these things helped you reframe the way that you think about exercise, and how you may be able to improve on your exercise and health situation. Even if you take small steps, they will add up. Find what works for you. But mostly keep moving! Or get moving! We’ve all been there – you have to be out for a day, but its nerve-wracking. What to leave for a sub? How to make sure it goes smoothly? 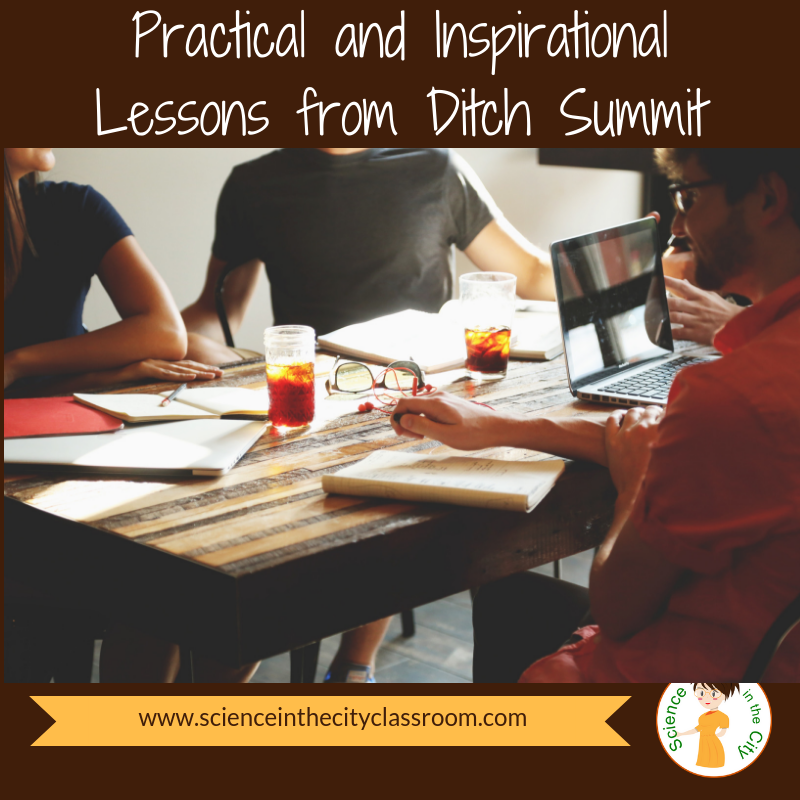 You don’t want to waste a day of class, and you don’t want to come back to chaos the next day. 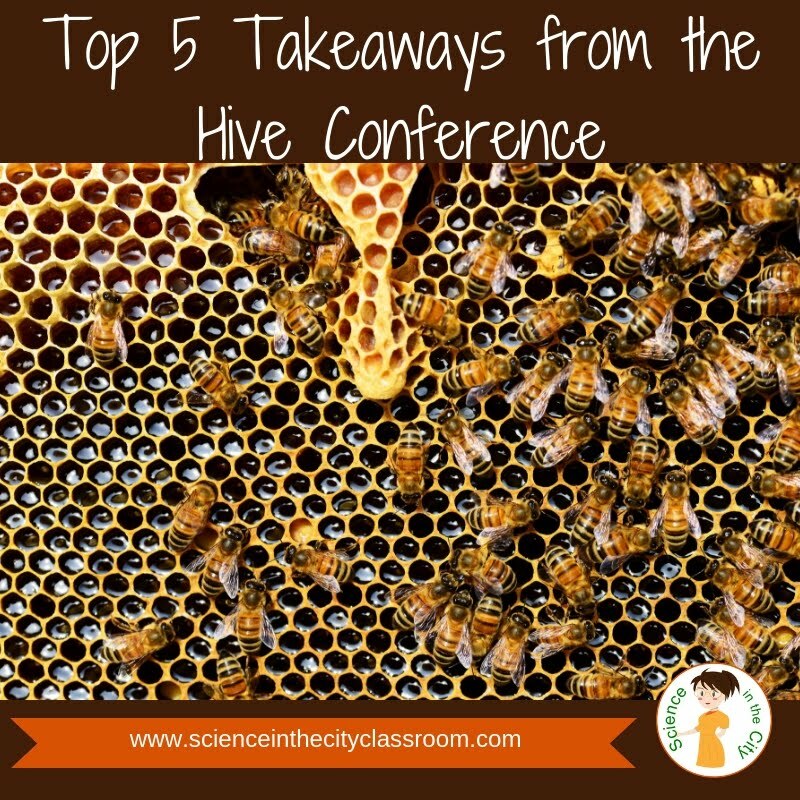 Especially at this time of year, there seem to be more field trips, family events, and reasons to be absent. As has already been mentioned in many other places, it is important to have a back up plan. 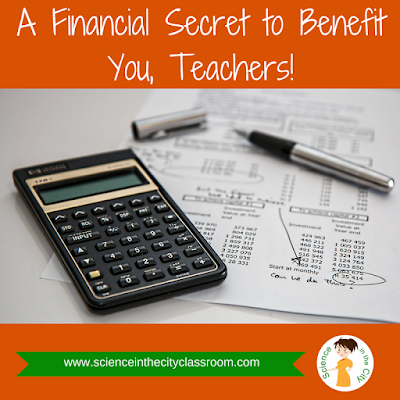 As we are just finishing up taxes and tax time, I wanted to share a tax saving or financial tip for teachers that you may not be aware of. I have only become aware in the last few months of a certain type of investment or saving account that is open to teachers and some other public employees. This type of account is called a 457 investment account. I am not going to claim to be an expert, but I will give you a quick synopsis, and a few more sources of information. The rules or a 457 state that you can withdraw when you leave your teaching position, or at age 59.5. This means, if you leave your teaching position, you can withdraw from your 457. However, you may need to do some research and work with your HR department. My district did not really seem to publicize the 457 well. I had to do some digging to find out about it. I have heard the same from others as well. However it may be worth the work as it may be a good alternative for you to improve your tax situation and your savings for later. CNN Money: What’s a 457 Plan? Smart Asset: What’s a 457 Plan? Definitely do your research, they won’t be for everyone, but this has potential to be important enough that I wanted to pass it along. I have been teaching for 12 years, and thought I was relatively on top of my finances, but I had never heard of a 457, and didn’t know it was available. As such, I’m assuming I’m not the only one. This could be a huge advantage if you are teaching but plan to leave your job and stay home with young kids for a while, go back to school, or simply leave the teaching field and pursue a different line of work, but maybe you need some money to tide you over after you leave the position. There is no early withdrawal penalty. You still pay taxes on the money that you withdraw but you don't pay a penalty like you would from any other retirement accounts.